Please notify us when you make your appointment the amount of time you will need for your follow-up appointments, so that we may schedule it accordingly. If not otherwise specified, we will reserve one (1) hour for your follow-up appointment.You will be financially responsible for the entire time. These fees do not include any additional therapies, supplements, or laboratory tests performed or ordered during your appointment. Laboratory testing is done at cost for your convenience. Follow-up phone and in office consults may be scheduled in 30, 45, 60, or 90-minute blocks of time. We encourage you to book your appointments at least one week in advance. Telephone consults must be scheduled and prepaid in advance by calling our office at 949-726-0707. A valid credit card must be kept on file. Checks are accepted if received prior to the consult. As a courtesy to you, our office will email or call you to confirm your appointment two days in advance. Dr. Hubbard will call you at the time of your scheduled consultation. She strives to operate on a precised schedule, so please keep your phone line clear. If you are unable to keep your scheduled appointment, you must notify our office a minimum of 72 hours ﻿before your scheduled time or you may be charged for that appointment. Payment is due at time of consultation. Methods of payment are: Personal Check, Cash, Visa, MasterCard or American Express. All consultations are time recorded from the time the appointment begins. You will only be billed for the actual time used. Dr. Hubbard is a participating provider for LLUAHSC Risk Management. We will file your acup﻿uncture claims to LLUAHSC Risk Management. However, LLUAHSC Risk Management does not provide coverage for Functional Medicine. 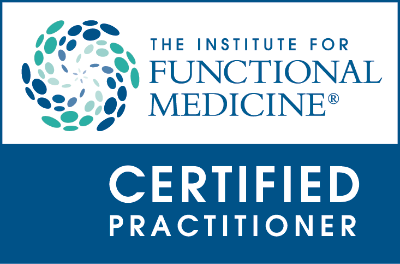 Based on your health status and health goals, Dr. Hubbard may recommend conventional and/or Functional Medicine testing. We will provide you a lab requisition for conventional tests. Most of those tests are covered by major PPO insurance plans. However, all HMO policies require diagnostic tests to be ordered only by the primary care provider (PCP). Therefore, we recommend that you take our laboratory requisition to your PCP and request that he/she order those tests for you. 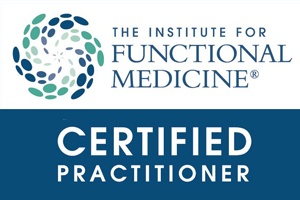 When necessary, Dr. Hubbard may recommend specific Functional Medicine tests, for which we will provide you a test kit that can be done in our office or at a nearby lab. Some tests kits may be taken home for saliva, urine, stool, or hair collection. Each kit comes with its own pre-paid mailer, which you drop off at the appropriate carrier or call for pick-up at your home. We have negotiated wholesale prices for many tests for those who do not have insurance coverage or have a large deductible. The results of your lab tests will be sent to Dr. Hubbard 2 to 4 weeks after the tests were performed and/or mailed to the lab. Dr. Hubbard will evaluate your results. After evaluation, we will contact you to schedule a follow-up appointment. Please allow 3-4 working day for your refills. Specific orders may be dropped shipped to you. For this purpose, a valid credit card must be kept in file. Pre-approval is required on all returns! No supplement returns will be accepted after 30 days on all regularly stocked items. Special orders cannot be returned. Refrigerated items cannot be returned.Prepaid tests can be returned for credit up to 3 months from the date of the purchase. A 5% fee will be applied to all returned items that were paid buy credit to cover the processing fees for the initial sale as well as for processing your refund. Dr. Hubbard does not service medical emergencies. If you have a medical emergency, you must contact your primary care physician or dial 911. Please contact the office if you are not clear on any of our policies or procedures.